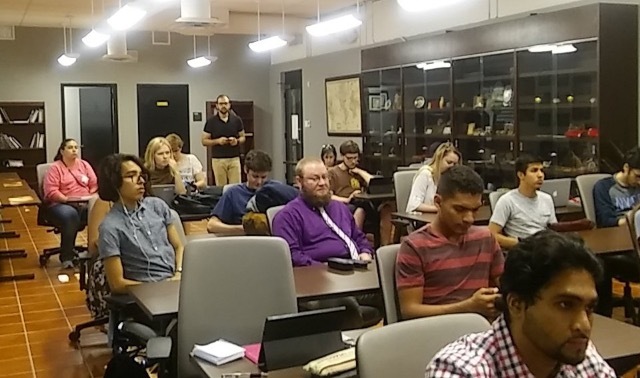 Dr, Joseph Masaad speaks at Texas State. Photo by Rebecca Banks. 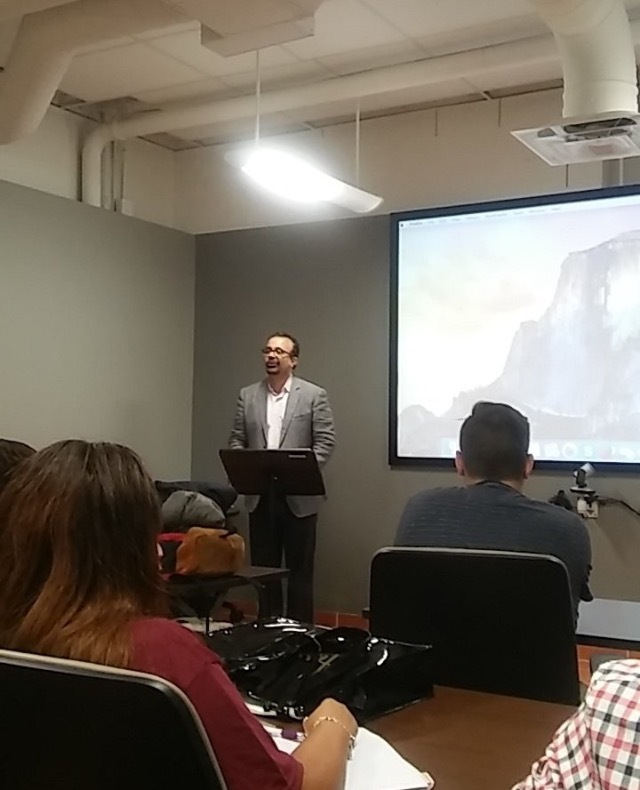 Dr. Joseph Massad, professor at Columbia University and author of “Islam in Liberalism,” spoke to a full room of students and faculty about his book. He discussed how the history of Liberalism has created a negative outlook towards Islam and Islamic countries. Massad explained the one issue for the disconnect between Islam and Liberalism is the usage of the term Islam. It has been transcribed to mean different things. He explained the term can be used to describe architecture, religion, and political structure as well as being used to describe Islamic countries as being oppressive and intolerant. International relations sophomore, Ndeye Ndiaye, said since she is American and Muslim she sees both sides of the discussion. Ndiaye points out how citizens of Western countries could view Islamic nations as oppressive. In comparison, Muslims see a different view of issues within their society, she said. “I feel the same way because I am a Muslim, I practice Islam and so I see his point and in addition I am American as well so I see the Western view and I see the Muslim view as well,” Ndiaye said. Massad also addressed the issues of how Western countries view Muslim women as being oppressed because of the religion they practice. Business freshman, Josh Wesley, said Americans don’t connect issues within the U.S. government as a religious issue, like the way they view Islamic countries problems come from a their religion. Massad explained in the U.S. about 40 percent of men commit sexual crimes towards women but it is not established as religious issue. However, when the same crimes occur against women in Islamic countries it is attributed to a problem within Islam, he said. Daisy Jaimez, international studies sophomore, said the Western view of woman’s rights often casts a judgment on Muslim women for their religion because it is not seen as being progressive. However, there are women issues here in the U.S. that are not given the same scrutiny they give towards Islam, she said. “The role of women in Islam is sometimes portrayed in a negative connotation,” Jaimez said. Some students attended the discussion to understand more about how liberalism has interpreted Islam to be used negatively. Wesley said he attended the discussion to learn about Islam and its relationship with Liberalism. Overall, Massad said he sees Western countries views of Liberalism to be a form of liberation towards the Middle East. However, their views come from their “anxieties” of generalizing Islam as intolerant and tyrannical.